Ideal for your frisky and playful toddler. The perky ears make this hat so cute. The JANGANNSA Baby Winter Hats With Ear Flaps will quickly become your baby’s favorite beanie. 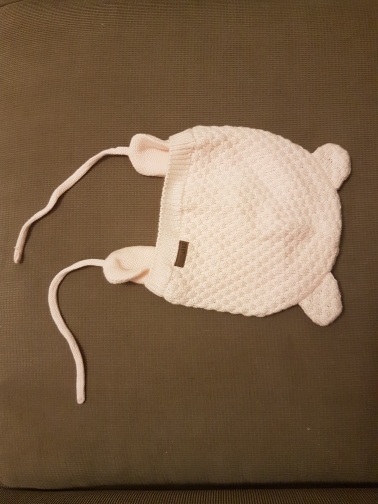 The cotton and acrylic blend breathes to keep your baby warm but not wet. Won’t chafe delicate skin. Available in four classic colors. Pencil in some whiskers and take your toddler with you to your holiday party. Prepare yourself for the compliments that will start rolling in. ⇨ Attractive knit pattern with matching kitty ears and side fleece flaps. Simple but elegant looking. ⇨ Makes a great present for a member of your family or someone you know that loves pussycats. ⇨ When pulled all the way down, covers the entire head. 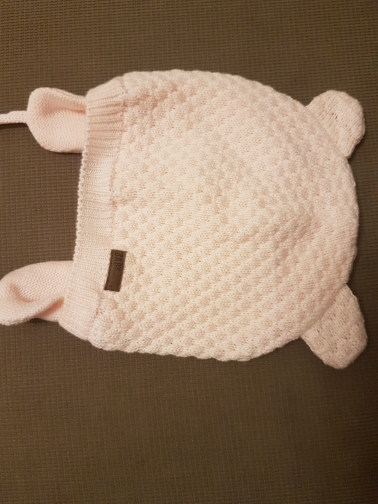 The flaps keep ears and cheeks warm. Secure below the chin to make sure your tot doesn’t get tired of wearing it. Hat bolshevat Year, and in depth. After washing and spin at 1000 rpm form is not lost, not the village, do not shed (blue hat washed with light things). Very fast shipping, fits perfectly. Great product! Fast delivery! Good quality product. Just as described!matching size. thank you!